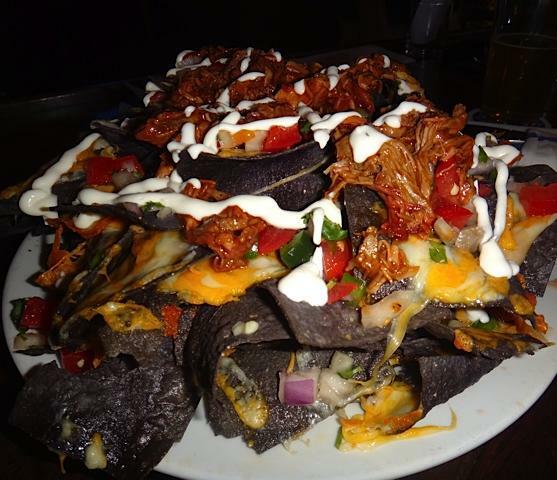 If you are in atlantic City and find yourself searching for a great plate of nachos, you are in luck. Get yourself down to Harry's Seafood Bar and you will get what must be the biggest and best plate of nachos around. Shown below is the appetizer sized potion, covered in some of the best BBQ pulled pork we've had in a long long time. I'm not sure this could be described as an appetizer, though - this plate full filled up three of us, meaning we had to give it a few hours before finally having our meal!